Unlike the recently reviewed Bistrot Pierre, Petit Paris doesn’t have the lustre and polish of its French brother. The rustic charm it does show, as you emerge from the stairs on King’s Walk, quickly endeared it to me. I was immediately glad I was not a man of bigger stature when I had to squeeze between a number of cramped tables to reach our corner berth. Weeknights (regardless of time) carry a pre-theatre meal at 2 courses for £11.95 or 3 for £14.95 though there are many supplements which makes the menu a little complicated. Like the decor the menu too screams farmhouse with simple dishes like mushrooms on toast and coq au vin. If moules mariniere are on the menu I’ll pick them 3 times out of 5 I reckon. And very satisfactory they were too, plentiful plump mussels for my money and with some free bread to mop up the sauce too I wasn’t complaining. If I had any complaints to make I think they skimped a little on the white wine, I prefer the Loch Fyne incarnation which has impressed me previously. 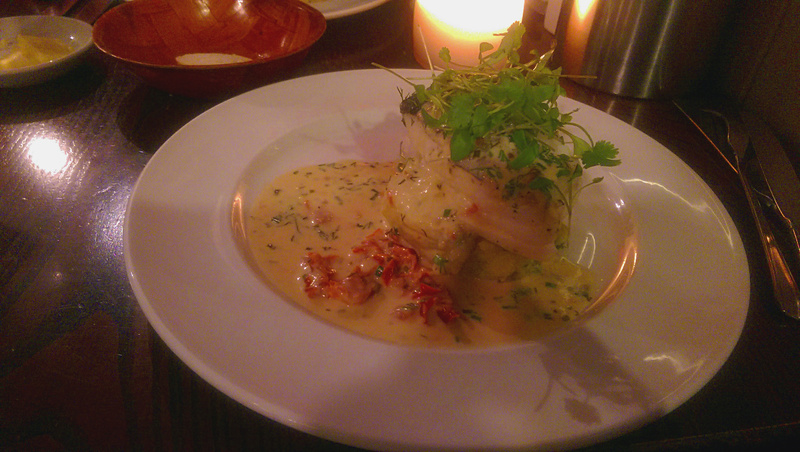 The main course was cod, chosen from the specials, wasn’t a particular looker. I’m not a fan of stacking food and white on white on white with some limp herb fronds didn’t sing to me. Happily it ate better than it looked. The fish was well cooked, delivering big pearly flakes of goodness. The sauce here had seen more liberal booze, and was all the better for it with the wine’s acidity working well with the fish and crushed potatoes. Dessert let the side down somewhat. Another of my favourites, and a French staple, tart au citron suffered from overbaked (bordering on charred) pastry. Though the lemon flavour was good you just can’t get away from that burnt taste from the edges. As a direct comparison I thought Petit Paris would suffer more than it did versus Bistrot Pierre. 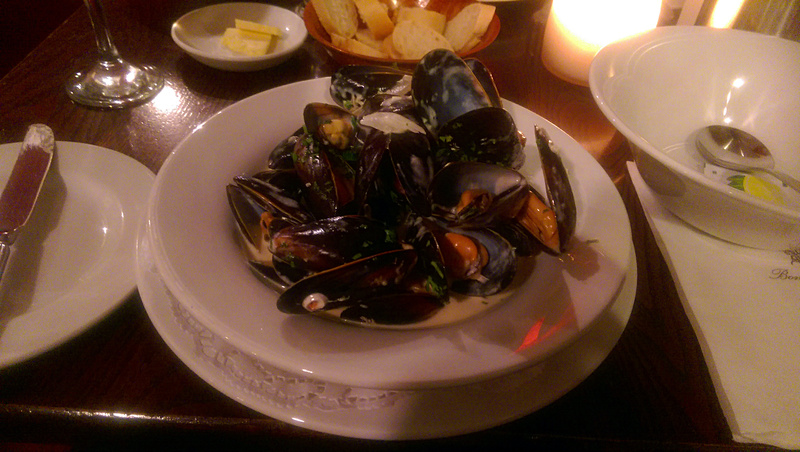 Even with a £1.50 mussels supplement the offering here was actually more reasonable. Execution was a little more mixed, but dessert aside (where they lose their marks in this review) it would be a hard choice as to where to return to first. Despite the lower score the simple, homley stylings mean I’d be sorely tempted by Petit Paris.